Level One of this method is comprised of books for all the primary band instruments plus electric bass and guitar, videos for each instrument, and an accompaniment CD. The entire method is also available for SmartMusic by Coda Music Software. Motivational aspects are emphasized, such as using frequent duets and rounds, popular tunes as well as classical, traditional, folk, and other styles, and "Songs Just for the Fun of It," which appear at strategic learning intervals. Most of all, the Level One book can be completed in just one year, which encourages students to want to learn more. 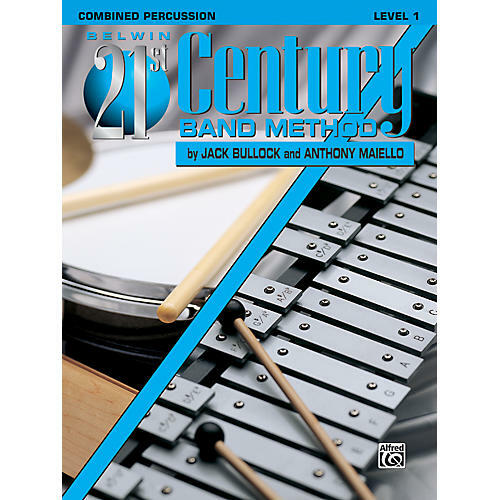 Lessons are carefully sequenced, and include in-depth rhythm study, consistent reinforcement of topics newly presented, theory exercises, and points on individual instrument needs. The conductor's score includes lesson plans and teaching suggestions correlated with the National Standards for Arts Education. Three complete concerts are included in Level One.